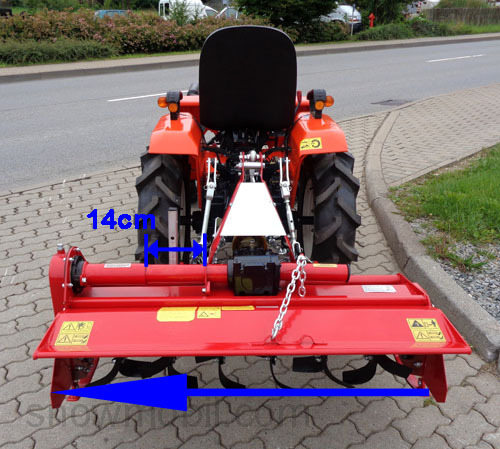 775,00 EUR 19 % VAT incl. 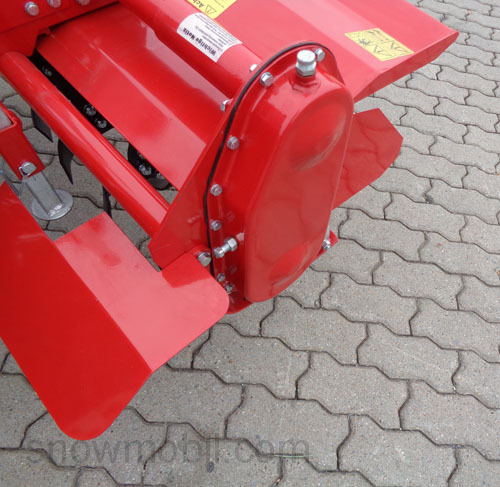 The rotary hoe is equipped with the option of a manual sideways mover. 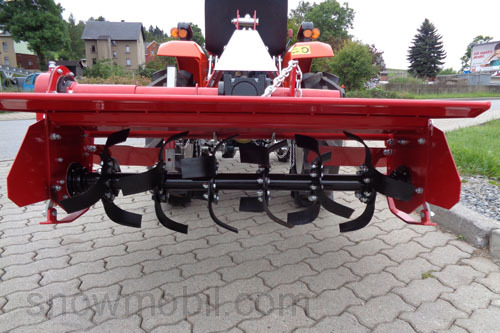 You can move the rear rotary hoe sideway up to 14 cm. 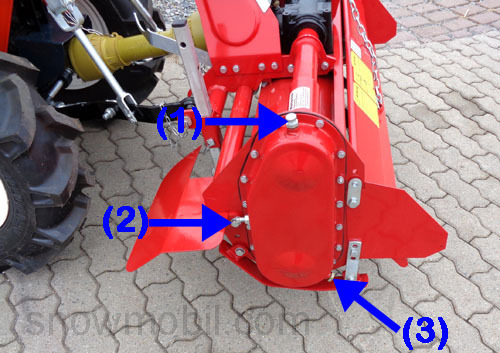 The drive of the blade shaft happens via a oil bath lubricated shaft. 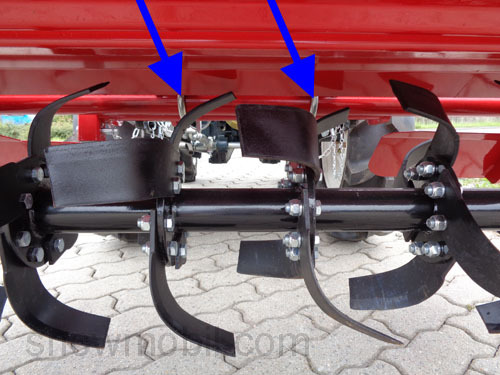 The bearings of the blade shaft are always lubricateable from the outside. 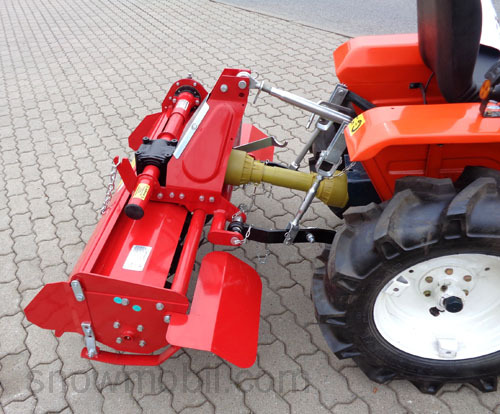 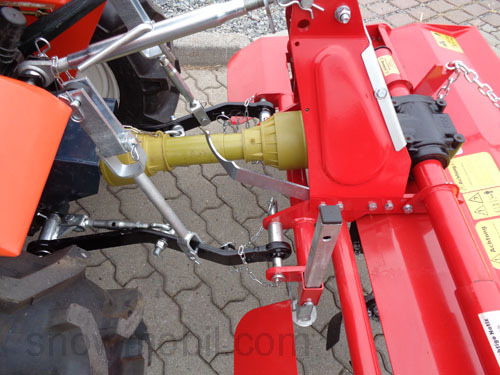 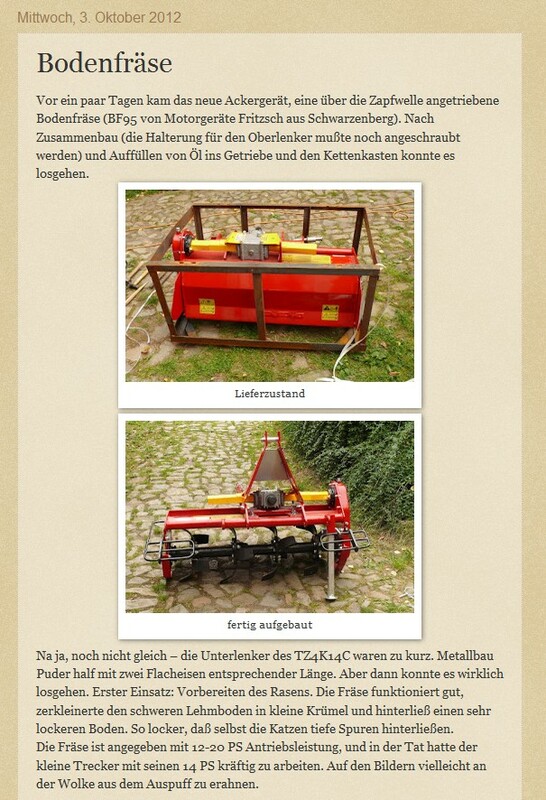 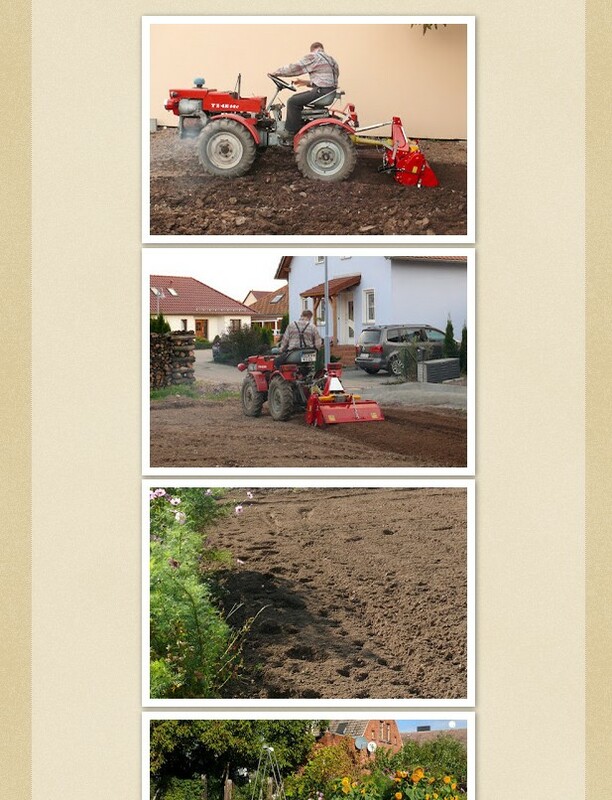 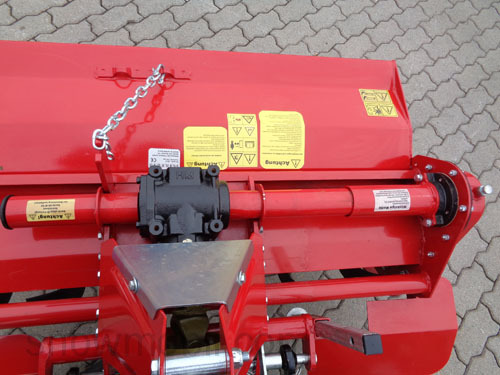 The rotary hoe is pre-assembled, it only need oil in the transmission and the shaft box. 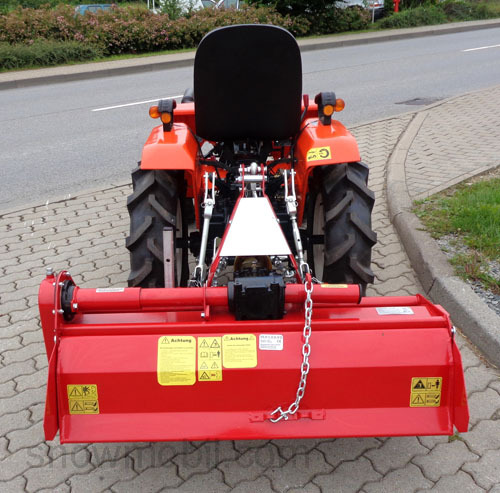 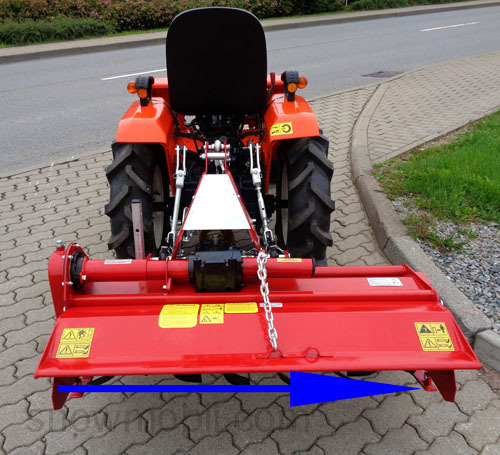 The tiller can be moved 14cm laterally. 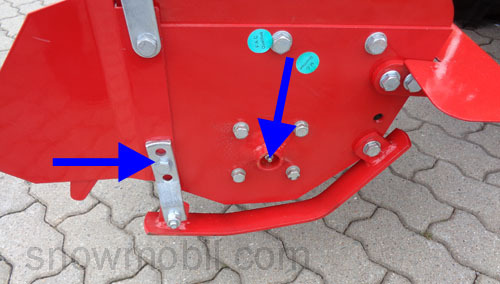 Here you can see the clamping brackets to move the tiller. 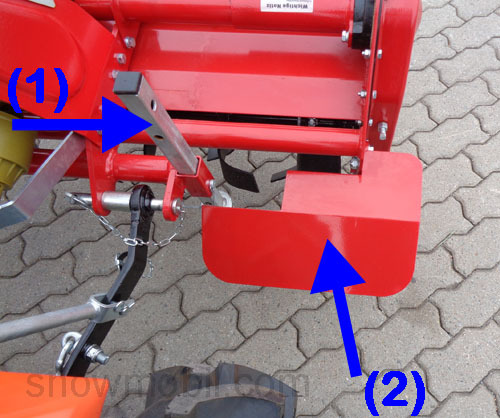 While the tensioning straps are loosened, the tiller is moved by hand. 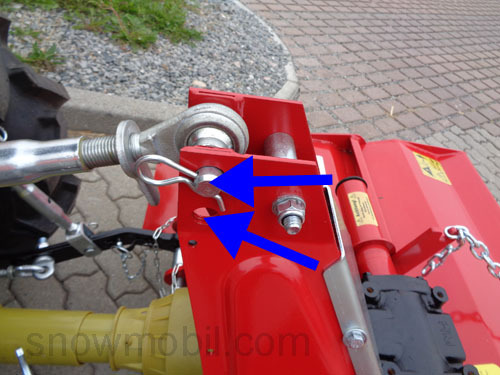 Then it must be screwed again!